After this short blog post about sitting back and doing nothing while someone killed themself with bad habits, I had a long talk with David about what we could do. After very short deliberation, we have decided that I am going to open up my own books to take a few clients that fall in the “general population” category. Shortly after, we have our monthly continuing education presentation, where David talked about the importance of proper planning for GenPop, and it gave me a lot to think over. Certainly, non-athletes make up an enormous population. With the same certainty, I can tell you that most personal trainers do not give these people the attention they deserve. The truth is that to some degree, at the beginning stages of any training program, nearly everything works. This can lead to a lazy approach by trainers where coaching is done to their comfort level with very little thought involved. I insist that this is unacceptable. I believe there is a blend of athletic training concepts that can absolutely lead to a productive, engaging experience that yields massive results for everyday people. If you don’t believe me, just look into the success of Crossfit. While there are many factors that make Crossfit successful, topping the list is that it introduces people to a relatively thorough athletic approach of health and wellness, regardless of their starting point. That said, Crossfit isn’t for everyone. This is where personal training can be the answer for those looking for a bit more specificity and guidance as they dive into fitness. 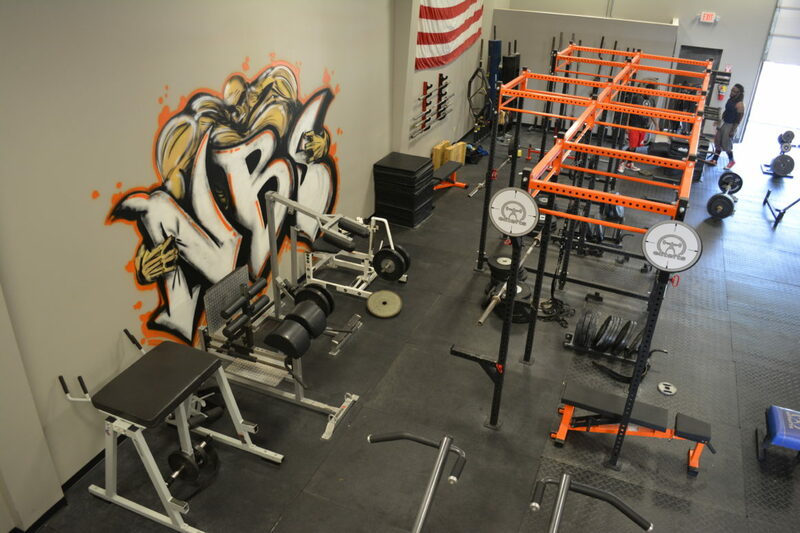 At NBS Fitness, we aim to make sure we have the best customer experience for everyone, and the general population training will be no exception. Below are a few steps we are taking to make sure this is the best training money can buy for the non-athlete. The first step to making any fitness plans is understanding exactly where you are at and where you want to be. This involves goal setting. While I can help you establish goals, I am more interested in your genuine desires and what has led you to seek help in the first place. We make no assumptions out of what you want from your body, but we can help determine realistic expectations and a time frame to get there. You can be as specific or vague as you’d like to be. Your goals are likely going to be a bit fluid as you get moving, and expressing changes to what you want is acceptable at any point. I am not here to put my goals on you, but rather help you express and achieve your own wants. From there, an anthropometric assessment is a bit of a must, but can vary based on what the initial conversation reveals. If you aren’t a numbers person, we might not focus on numbers but instead get into physical indicators that carry more significance to you. If measurements/weight/numbers ARE important to you, we can track those as well. However we decide to go about it, these starting points are the metrics we will use systematically to track progress. Anthropometric measurements are important and tracked, but the data we choose to focus on will change from person to person. Lastly, we have to get a baseline on where you are physically. Not to sound like a broken record, but this assessment will also vary from client to client. I would like to get a movement screening out of the way to note any wild imbalances that need attention as we progress. Now, this is where I differ from a lot of coaches: I think a lot of imbalances can be worked out as primary goals are also in progress. David gave a great presentation about how to periodize training programs for the general population client. For the sake of brevity, a periodization model is simply a plan and frame work that covers an extended amount of time. It addresses short term goals, long term goals, the foundations of those goals, and allocates “blocks” of time for those steps. I think this is an important process to explain to each client so they have a bit of understanding and motivation going into each training session. All blocks, training days, exercises, and stressors should have a clearly defined purpose that is digestible by the client. Doing conditioning at the end of a brutal leg day isn’t always the first thing clients want to do, but if they know this is an important step in finally seeing abs pop through for the first time in their life, this can be hugely motivating. These are just a few, but always a very satisfying part of training for the client. Who doesn’t want to show up to their 20 year class reunion looking like a million bucks? This isn’t to say training stops during this time, but perhaps we take a little additional time strategizing around these events is necessary. 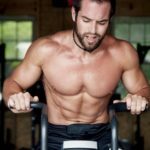 With general population progamming, the training often continues into infinity, so having these natural deloads can be worked in around these times. Its been said a million times: the best training plan in the world is the training plan you look forward to. All of the above principles can be carried out in a way that the client enjoys. If you don’t enjoy running, I have great news. There are about a hundred billion other ways to get some cardiovascular work in that don’t involve running. 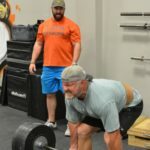 If you have a bone or joint anomaly that skews your movement pattern and makes benching uncomfortable or dangerous, we can modify the training program to entirely eliminate benching and still meet almost any objective. Truly, you dont have to be married to any one exercise that you hate. The key to making the most of your training is communication. The more we communicate and decide on what modalities make the cut, the more custom and effective your experience can be. **note**: This does NOT mean you can simply eliminate the highs and lows of being physically active all together. Hating running and hating being out of breath are two very different things. You don’t have to run, but you do need cardiovascular fitness. Similarly, hating squatting and being weak are also two different things. t on work/family functions to come to the gym. Doing those things would actually bring the clients quality of life down, as training them becomes a chore that competes for time for critical tasks. Setting up a training schedule that is reasonable and not overly ambitious is step 1. Scheduling training before or after work usually works best. Being able to foresee hectic weeks also helps strategize around also helps keep the wheels on the bus when time is low. Lastly, I think its important to keep cumulative stress in mind. While I do think people are much more capable than we give them credit for, all stress is stress. Having an extraordinary amount of life stress often bleeds into training, and theres some attention that needs to be paid there. Again, communication is key. Our aim is to give people the ability to achieve their physical goals through the best training in Memphis. Its more than showing up and running you through whatever machines are available at that time. A proper training regimen is thoughtful and client focused with results based backing. You don’t have to be an athlete to benefit from the planning that goes into each program.